I have had an awful lot of loss recently. Some quite personal, and some smack in the public eye. Take, for instance, the untimely (although not unexpected) demise of perhaps my all time favorite web tool, my secret weapon in the pursuit of knowledge, my endless font of material for my beloved blog, my source of inspiration and enlightenment. Yes. I am talking about Google Reader. First, a eulogy. Way back in the day, when I made the conscious decision to engage more on the Internet for professional and personal pursuits, one of the very first tools I stumbled on was the RSS feed and companion RSS feed reader. 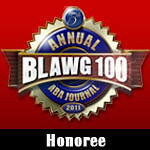 I believe it was in a webinar discussing how to use web tools for legal research. RSS was one of the items items discussed and it struck me right between the eyes as an absolutely brilliant proposition – rather than spend hours searching out news when there was a pending question and even more immediate deadline, why not have the news come to you whenever it was fresh and hot off the presses? You could make yourself look like a genius with very little effort. My first reader application was FeedDemon for Windows (NewNewsWire for Mac / iOS users). It allowed me to easily subscribe and organize feeds. However, as I added more and more sources to my local program, I found that it would bog down and get so cumbersome, I could hardly load new articles. By the way, FeedDemon, which used to have its own sync engine, is going to join Google Reader in the crematory as it is now exclusively powered by Google Reader sync, unless they come up with a solution before July 1. It was then that I discovered the joy of the cloud-based reading tool that is Google Reader. There, all my subscriptions sat, quietly updating whenever I opened the page, allowing me to folder and subscribe to all sorts of feeds, including custom feeds and alerts, Twitter feeds and social media updates. When I found a site I really liked, I could use Reader to suggest similar blogs and RSS feeds so that I could move deeper into a subject. It had awesome search functionality (no duh! – its Google). And all of this at the speed of virtually real time (or at least as fast as the news sources could update with PubSubHubBub). I would visit Reader daily, sometimes several times a day, watching the new items fill the screen, hungry for more hot-off-the-presses stories on my favorite subjects. And, with the click of a button, share my findings with the world. After discovering Feedly, the application that offers stories based on your interests built on your Google Reader subscriptions, I spent less direct time on the Reader app itself. However, I would still regularly visit to prune and add content, and read stories without the Feedly filter to prioritize based on its best guess on my interests. And now, all of that is about to fly out the proverbial virtual window. 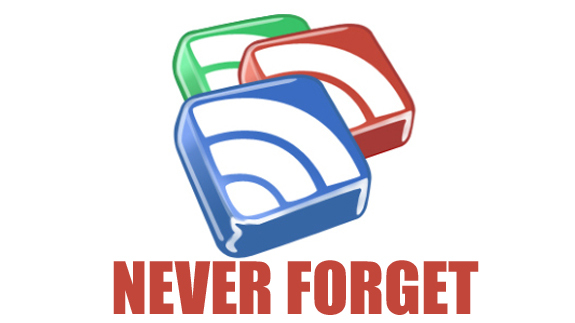 As of July 1, 2013, Google Reader will be no more. The writing was scrawled upon the wall about a year or more ago as Google made it quite clear that the social aspects of Reader (yes, there were social aspects), were being handily addressed on its new social net Google+. And, the scuttlebutt around the Web is that Google didn’t want to commit resources to ensure the Reader team kept their product in compliance with privacy and other regulatory constraints. Whatever the reason, the net effect for me (and it really is all about me) is the loss of a fantastic, well-designed, productivity tool. So, as the reality of the loss sinks in, one has to wonder: how to pick up the pieces and move on? Fortunately, there are so many creative and effective minds on the web that the loss of something as fantastic as Google Reader has not gone unnoticed and unaddressed. There are plenty of options out there for subscribing, digesting and manipulating RSS feeds and news stories. As a public service to Studio readers, I thought I would include some here. As Kubler-Ross theorized, we all undoubtedly will proceed through the five stages of grief – denial, anger, bargaining (remember that petition to the White House? ), depression, and acceptance. And I will have the goods here for when you have hit that “it’s time to move on” point in your own process. I should offer a caveat – I have not tried many of these alternatives so can’t offer the hands on. I have collected many of them while reading the Web news via, you guessed it, Google Reader. However, if I have had a personal experience, I will mention where appropriate. NewsBlur. NewsBlur is one of those reader applications that will offer news based on its best guess as to your interests, based on your past reading and liking / disliking behavior. Using the Intelligent Trainer tool, you can tailor each individual feed based on your interests. 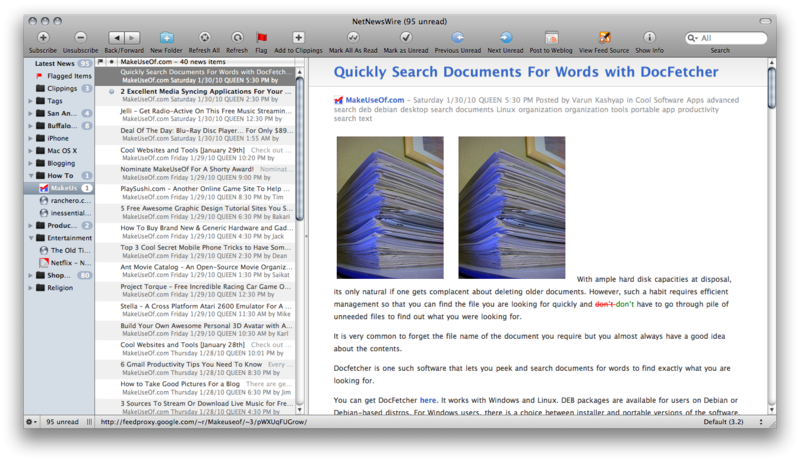 It looks pretty much like any other standard reader program, with folders in the left nav and articles in the main panel on the right. You can import your Google Reader subscriptions into NewsBlur. You can also import from desktop programs the OPML file containing your subscriptions. The problem for me is that NewsBlur’s free account accommodates 64 feeds, which is woefully inadequate for my existing library. But it is only $12 per year for unlimited feeds, which is pretty reasonable given my use of this particular type of service. There are a few different ways to view feeds as well, which is more dynamic than Reader’s approach. Skimr. A stripped down approach to feeds, with the ability to import OPML subscription files, but no inbox daunting you with a mounting unread list. Access your feeds individual to view content. Fever. How about a self-hosted RSS reader app that you host on your own server? That takes away the uncertainty of a free service getting pulled out from underneath you. Fever offers just that – simply upload 4 files via FTP, add a MySQL database, and create an account. There is a $30 one time fee to Fever’s developer, plus the cost of your own hosting, but if you already have that set up, you are good to go upon price of admission. The Old Reader. It is what it says – a version of an RSS subscription tool that looks like the old Google Reader. You can transfer feeds in or upload your OPML file. It also has the old news sharing features and social aspects of Google Reader before they were stripped in lieu of Google+. Nice for those who prefer not to be too jarred in the upset of Reader’s demise. Tiny Tiny RSS. Another player and I can’t believe how much it resembles Reader in looks. Tiny Tiny RSS is an open source web-based news feed (RSS/Atom) reader and aggregator, designed to allow you to read news from any location, while feeling as close to a real desktop application as possible. Free, too. NetVibes. A web-based reader alternative, among NetVibes toolset is a RSS subscription / reader function. Create a free account and then click the add button. You can import your feeds using the subscription.xml file and will see them in NetVibes in the same folders as in your Reader app. View your feeds in Reader or Widgets view. Search is lacking in the app, and you can really only use your built in browser search box. They call it a monitoring dashboard, but my sense is that its best free use is as a feed reader. HiveMined. A relatively new player, HiveMined’s developer is sensitive to the post-mortem pain we are feeling about Reader and is working hard to replicate the best parts. There is not much to say about it right now, but the developer is working furiously and you can keep up to date via his Twitter account and blog. Feedly. This is my go to RSS reader right now, especially since the developers saw the writing on the wall for Reader a while ago and have cloned the Reader API. If you sync Feedly with Reader now (or have already done so), they claim the switch will be seamless. There are a lot of other reasons to love Feedly, with its awesome user interface, recommendations and learning engine, easy sharing, and great mobile applications. That, combined with the powerful back end of Reader, has been a winning combination for me. Good Noows. Web only, which can be a bit of a detraction, but this is a nice looking easy to use Web-based reader. Add it via Chrome extension. Sign in with a preexisting social account. Easily add feeds. If this is what you need it for, then this is a nice alternative. FeedaMail. Are you still reading your news via email? then FeedaMail might be your answer. Submit your favorite blogs, links and sites to the app, and get back digests and instant updates in your email. This is great for either web viewing or mobile viewing, but if you are like me and get antsy when your email inbox gets to full, you might opt for something else. RSSOwl. A desktop option that claims to be platform independent. It looks a lot like a traditional reader program as well. There are lots of features, so head over to their site for more – you can search and organize, use the built in browser, create bins and labels and share the goods. Rolio. If you like the real-time river of Twitter or other news feed type interfaces, Rolio will do that for you with your RSS feeds. But you aren’t limited to your RSS subscriptions – add in your Twitter, Facebook and LinkedIn feeds as well. And, because this is all about the Google Reader loss, you can import your Google Reader feeds as well. River2. If you need to get some real RSS cred, why not turn to the guy who invented the protocol in the first place? River2 is Dave Winer’s application offering another River of News (only new feeds showing, with newest first in descending order) take on the RSS reader. It runs in an OPML Editor that implementing a River of News aggregator. It will collect feeds, podcasts, photos, reading lists, and real time feed support. No doubt it is geeky, but for you geeks out there, this might be a cool tool to tinker with. QuiteRSS. Notching it up with a bit more geek-appeal, check out QuiteRSS – an RSS/Atom feed reader built on Qt/C++. It’s a local desktop app, which might appeal more to some, less to others. But it is cross-platform. The interface is clean and simple. It has a built in browser that works nicely and there are lots of fine-grained viewing options. Add labels and custom icons and tear through your subscriptions with extensive keyboard shortcuts. There are a bunch of options that principally or only work on mobile devices, iOS, Android or both or others. They are all great in their own right for different reasons and you may want to use one or more of them to keep abreast of the latest news on the go. My favorite option above, Feedly, has awesome mobile apps. But here are others that shine or live only on mobile and they have much to offer as well. Pulse. Like most of the mobile apps, the focus is on presentation. Pulse is no exception. It offers a nice social mag-like UI. You have to work a bit to create and maintain lists of blogs and sites. But, its free and glossy, so you can’t be disappointed by its value. iOS and Android. Flipboard. Flipboard was the first and still still probably the best social magazine app on mobile. Create your own personal magazine using your Twitter feeds, Facebook, Flickr, Instagram, Soundcloud and, until this summer, Google Reader feeds. Gorgeous and free, if not deep. But if you need to glance fast across your feeds, this is a great tool. Taptu. Driven by images, but it is indeed an RSS reader. Use one of your social accounts to log in and customize and sync feeds on iOS and Android, as well as a few other mobile devices. Google Currents. With my new Nexus 4, I have been using this app more and more. It is a great news magazine style reader with amazing attention to detail (images on read items go from full color to black and white). I like the organization and find it easy to scan through a lot of news quickly. It works with any Google account and is available on iOS and Android. Zite. I can’t rave enough about this great app – it not only pulls the stories it believes I would find the most interesting from my existing feed subscriptions, it offers similar stories of interest from across the Web. I have subscribed to more than one new feed because it was served up to me via Zite. And, the Zite team just announced it has built a Google Reader replacement for its service. While it will only works with Zite, it syncs with Reader feeds and is available for iOS, Android and Windows Phone. Reeder. Reeder works on Mac and iOS, the latter is where I principally use it. It currently depends on Reader accounts as it is a true Google Reader interface app. But after the death knell sounded, Reeder’s developer suggested in Twitter that Reeder won’t die with Reader. What a relief! I can’t guarantee an exhaustive list here, but as you can see, there are plenty of apps available to fill portions of the gigantic gap that will be left in the wake of Google Reader. Who knows, perhaps an eleventh hour reprieve will materialize? I would like to hope. But the pragmatist in me has my ducks all lined up for the eventual loss. Hope you do too – RSS is definitely not dead, if the massive outcry on the Web about Reader’s shuttering is any indication.